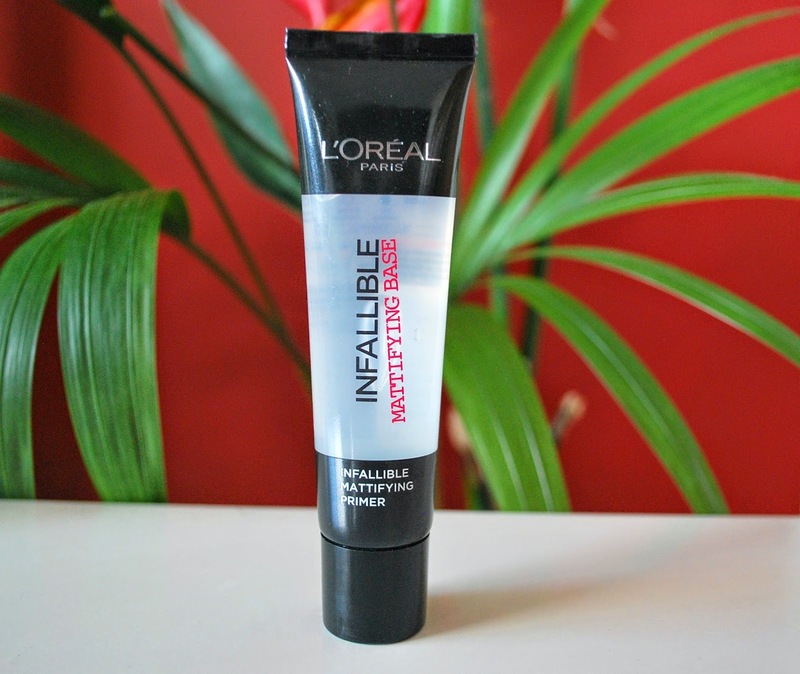 Infallible Mattifying Primer - This feels lovely on my skin, it is a gel formula and is very lightweight, with a smooth and even feel, ready to apply your make-up right on top! I was pleasantly surprised with how much product you get and I love the fact this range comes in a tube, making it easy to get the right amount and not waste any product. I would definitely recommend this primer to most skin types, I don't feel it is too mattifying so it definitely doesn't dry the skin out, however if you are looking for primer that will fill in lines or pores this may not be for you, maybe stick to the studio secrets primer. But I feel that this is perfect for day to day wear! 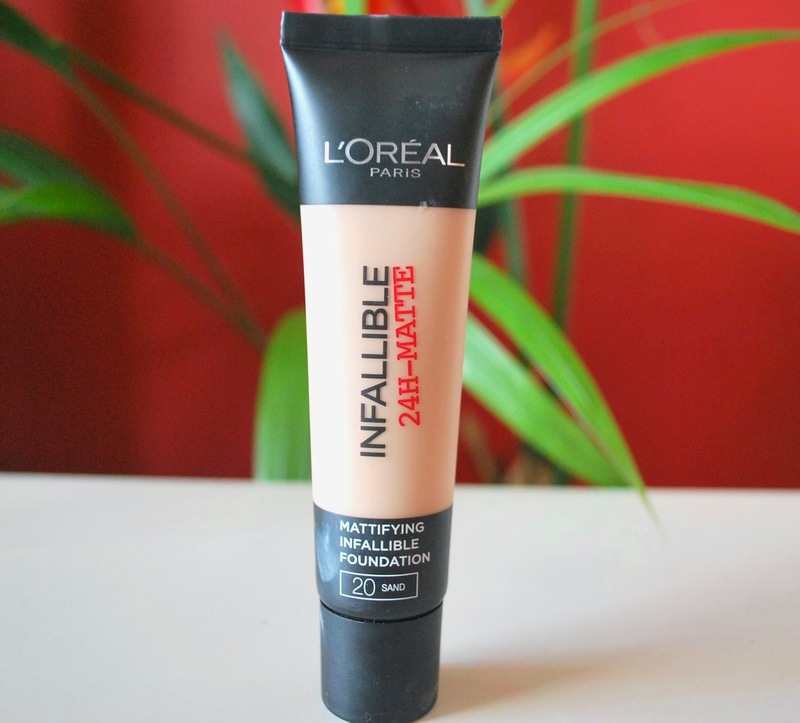 Mattifying Infallible Foundation (20 Sand) - The foundation sits perfectly on top of the primer, I find it is best applied with a stippling brush and a little goes a long way. 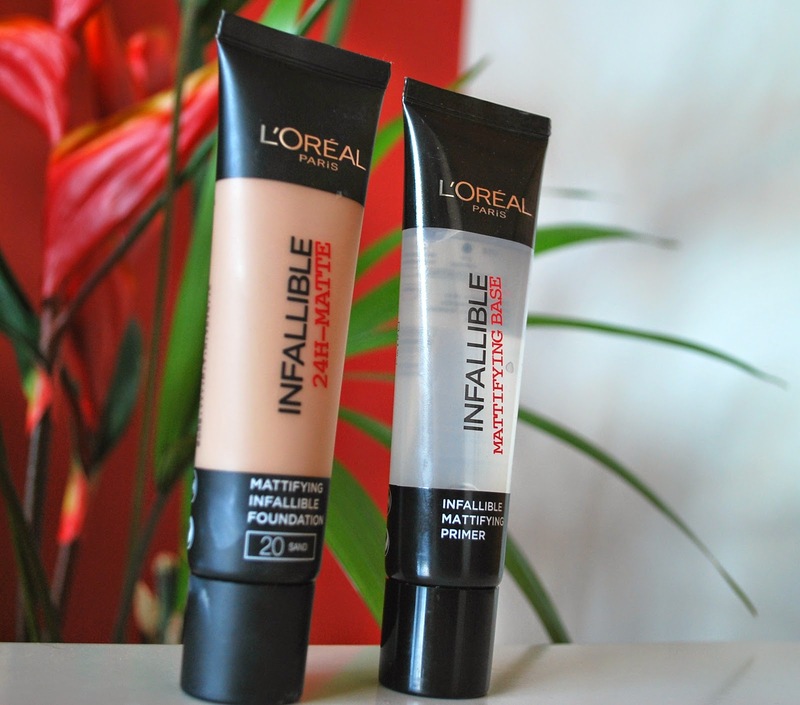 I could never get away with the original Infallible foundation but I feel this product is completely different and suited to my skin. Although this product is a liquid, it is not oily at all which I loved as soon as I applied and it is so lightweight it feels like you have no make-up on, even when it is layered for a full coverage! It is certainly mattifying but without the un-natural, cakey finish and it stayed that way for a long time throughout the day. I wouldn't say it would keep me matte for a full 24 hours as towards the end of the day I was certainly oily in my t-zone but nothing that a little powder wouldn't correct. I wish this product would come in a wider colour range as I think there was only 6 colours to choose from and this was the second darkest, but hopefully that will happen soon as it is a brand new product! It exceeded my expectations and I think this will definitely be up there with my favourite foundations for quite a while! Overall, I would certainly recommend these products, especially those with oily skin but still wanting to keep your make-up looking and feeling natural! 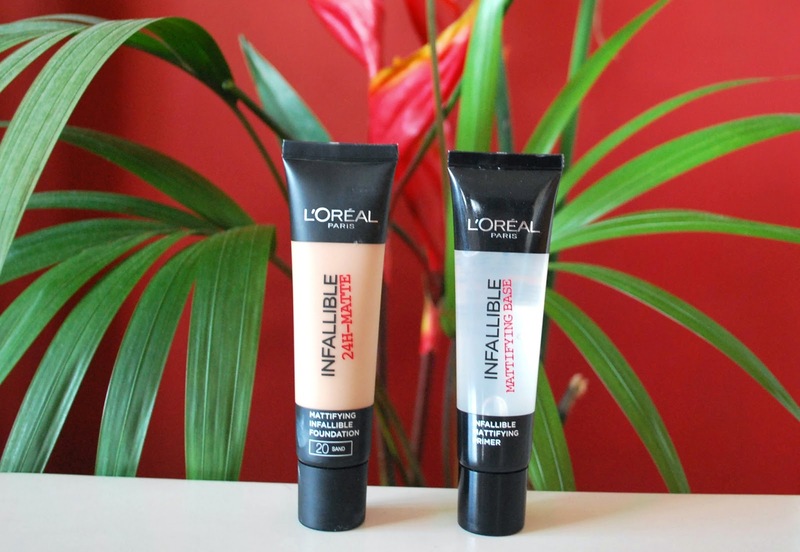 They come at a great price of £7.99 (introductory price £6.99 at Boots) which is fantastic for a L'Oréal product, especially when it is such good quality!